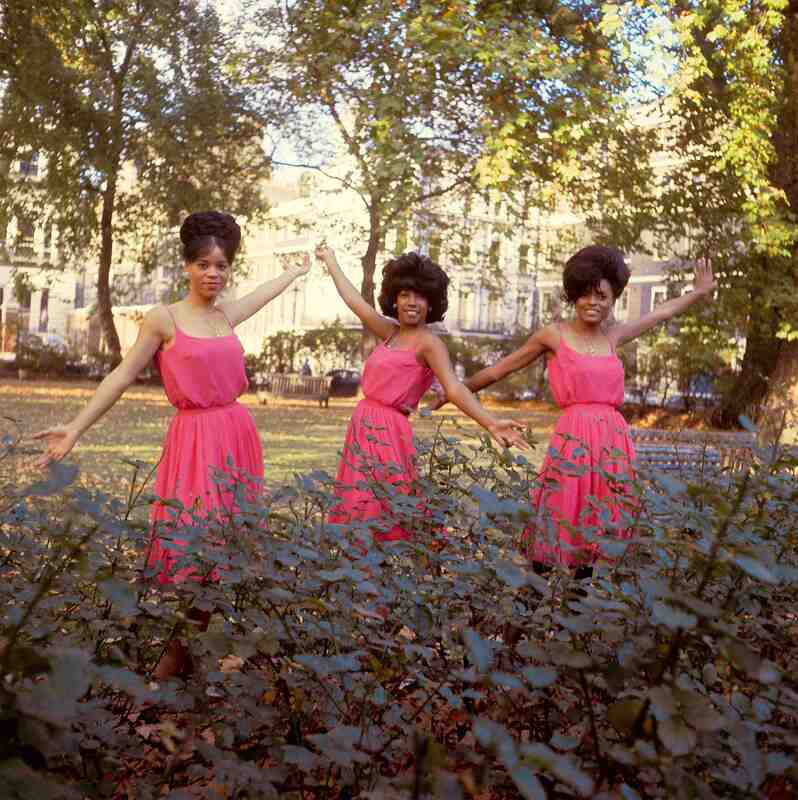 "Motown: The Sound of Young America"
Florence Ballard, Mary Wilson and Diana Ross in London’s Manchester Square, outside the headquarters of EMI Records, in October 1964. 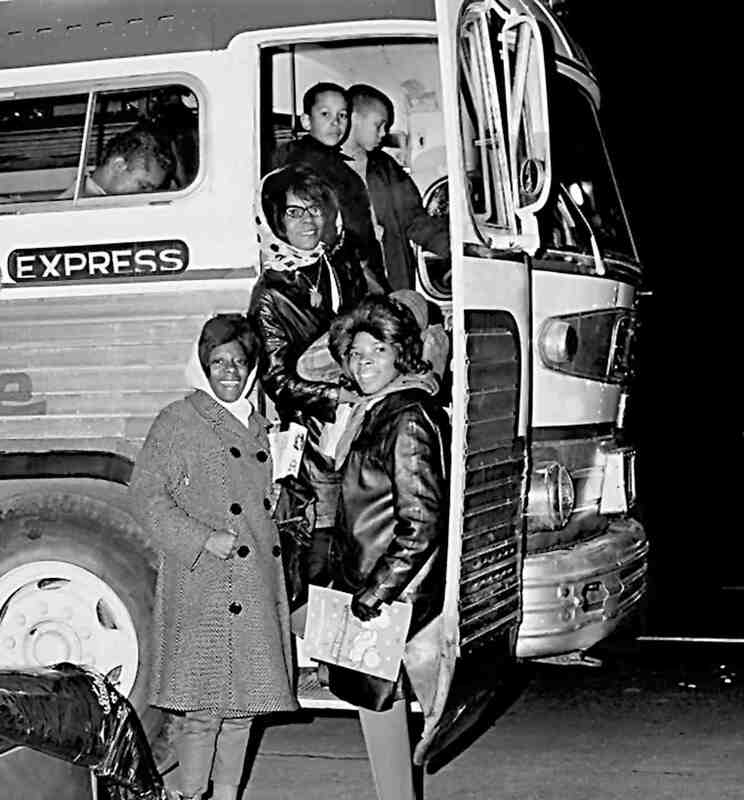 Martha & the Vandellas set off for one of the Motortown Revue tours. Motown Records Archives. Courtesy of the EMI Archive Trust and Universal Music Group. Rev. 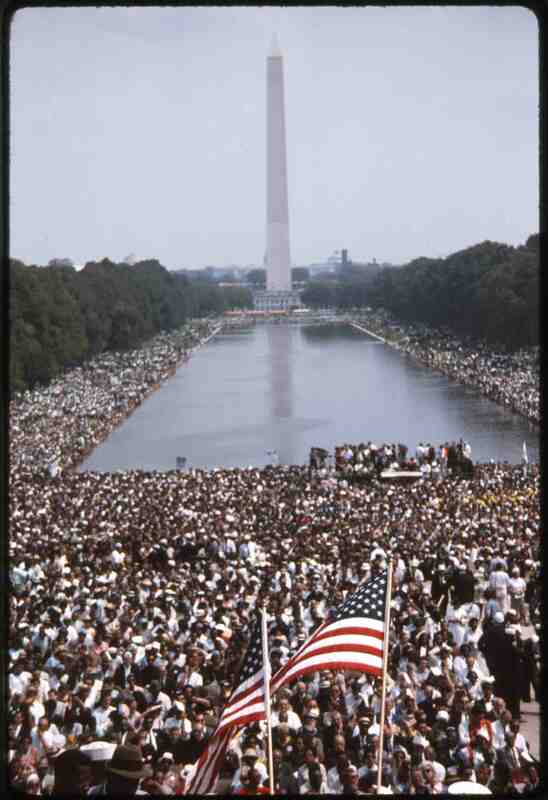 Martin Luther King’s defining “I have a dream” speech was the climax of the rally for “job and freedom” staged Wednesday, 28 August 1963 in Washington DC. An estimated 200,000 people descended on the capital, their presence representing a very public pressure for the passage of civil rights legislation being considered in Congress. 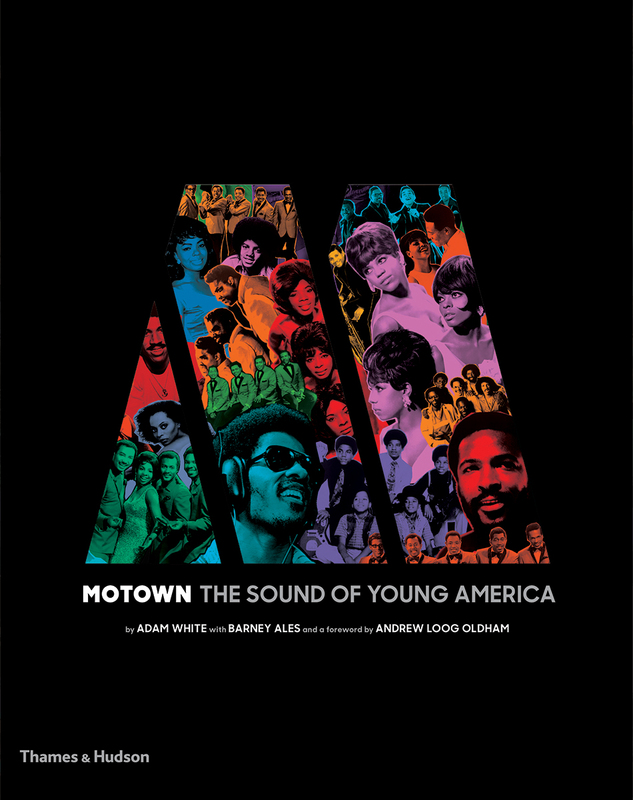 In October, Motown released The Great March on Washington, an album featuring Rev. 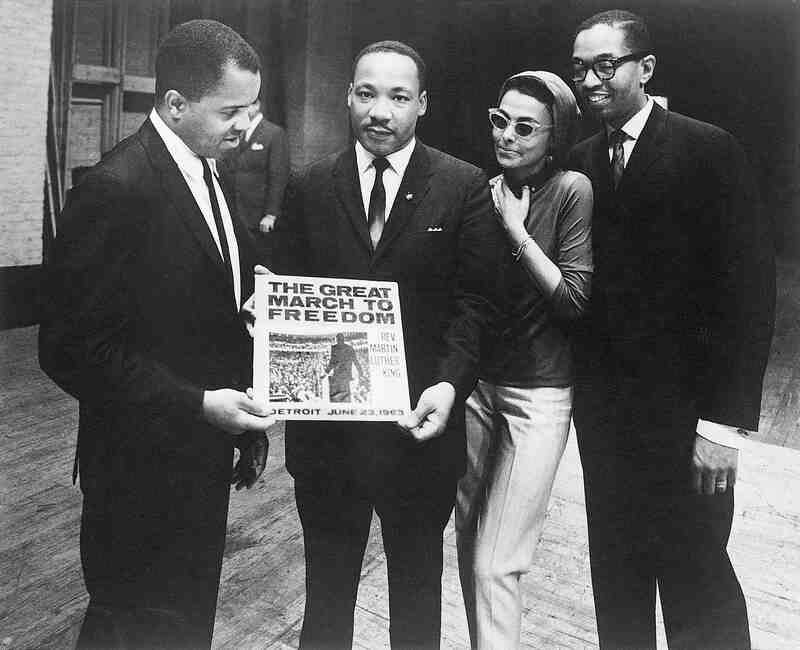 King and the day’s other orators, which also included a version of one of the marcher’s anthems, “We Shall Overcome,” sung by Liz Lands. 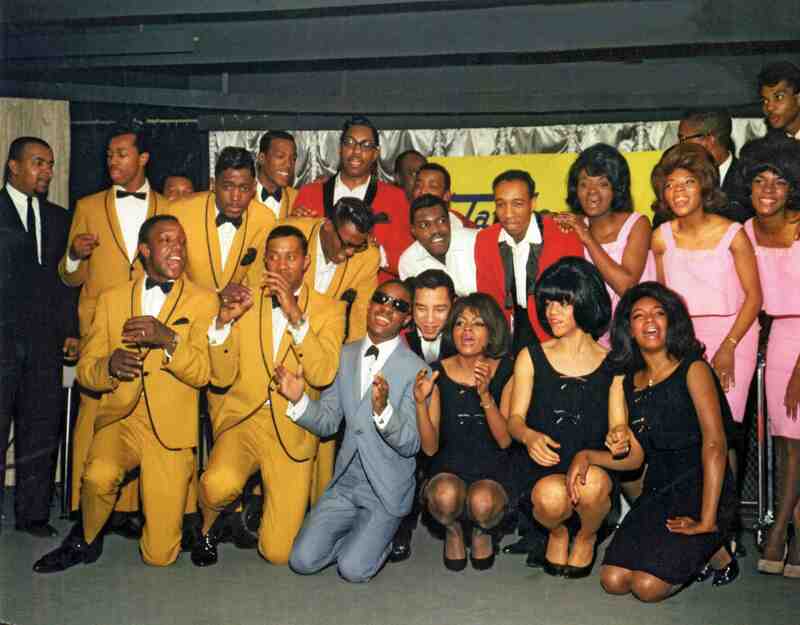 The Temptations, The Miracles, Stevie Wonder, Martha &amp; the Vandellas and The Supremes at EMI Records in March 1965, for the UK launch of the Tamla-Motown label. 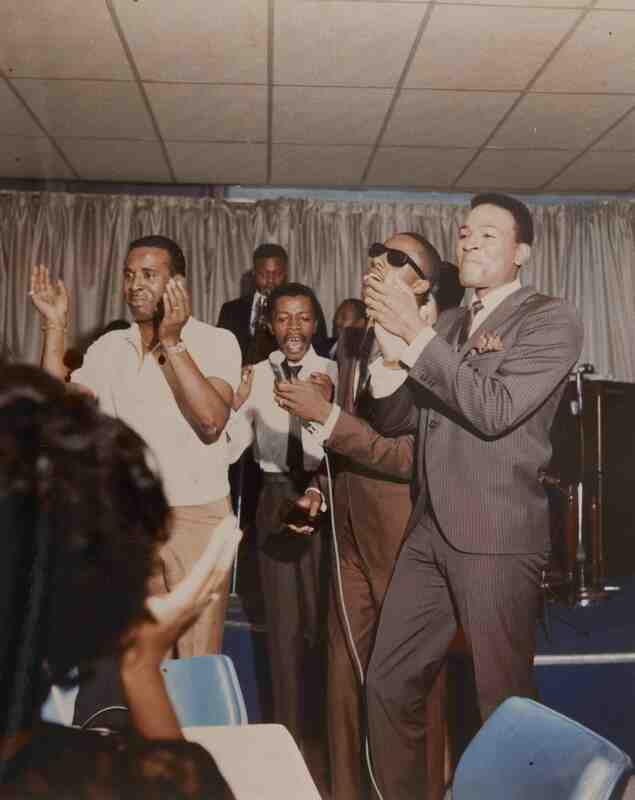 Seen at a Detroit nightclub in 1964 are, from L to R, Levi Stubbs of The Four Tops, Motown songwriter/producer Ivy Jo Hunter, Stevie Wonder and Marvin Gaye, with musicians Dan Turner on sax and James Jamerson on bass. 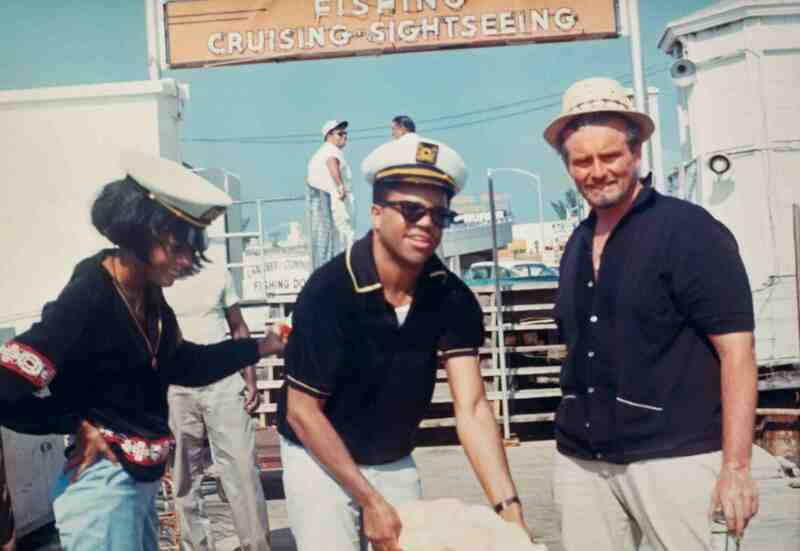 Diana Ross, Berry Gordy and Barney Ales prepare to set sail on a yacht from Miami, circa 1966. After their Copacabana success, The Supremes were in demand from other cabaret nightspots around the US such as Miami’s Eden Roc and Deauville hotels. 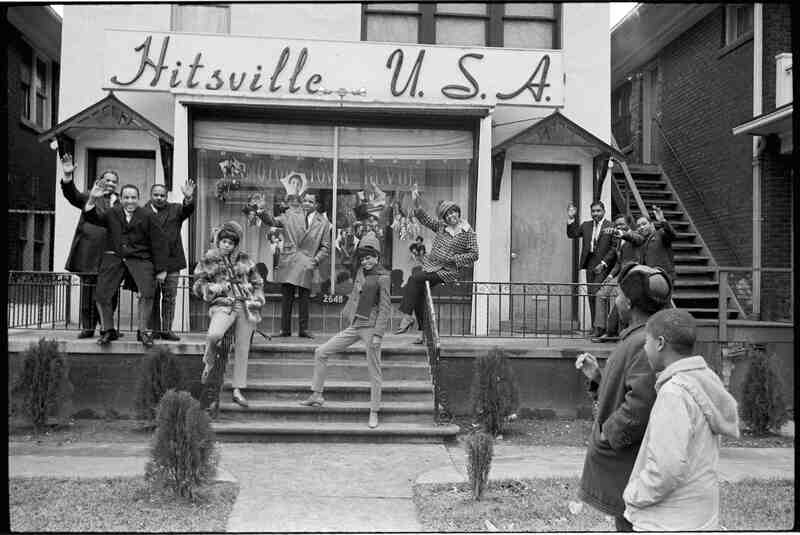 With The Supremes, Berry Gordy hails members of the Motown house band, at left, and his Holland/Dozier/Holland hitmakers, in December 1965. 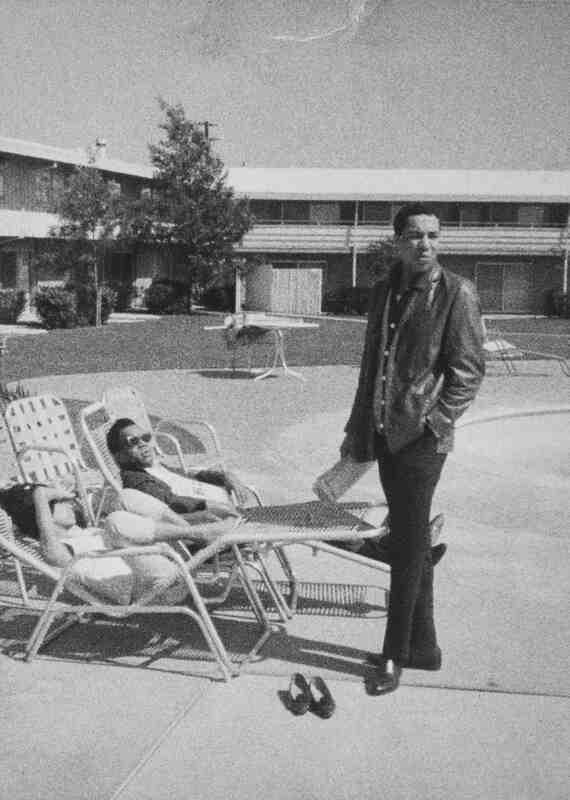 The Gordys and Robinson are poolside once more. Tammi Terrell gives a wave in the street outside Motown HQ. 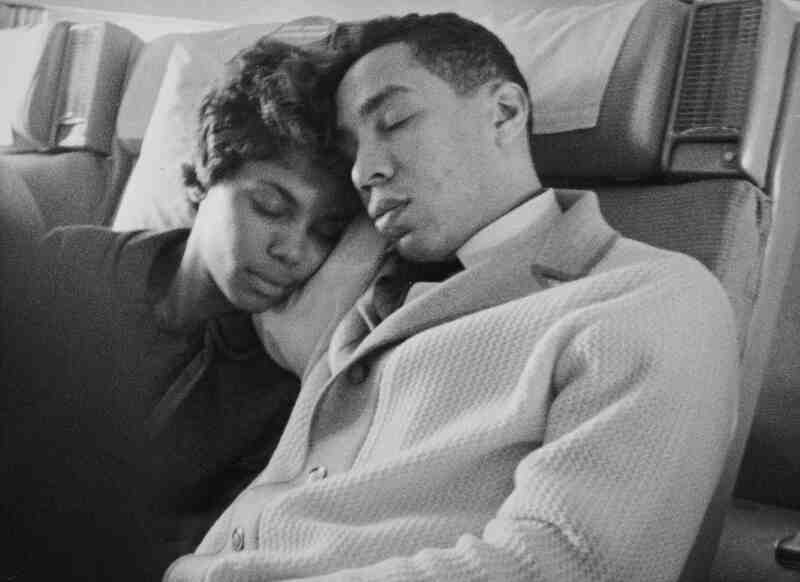 Smokey and Claudette Robinson rest on the journey home. Behind the scenes at the Motown Center, February 1970; two years earlier, the company had traded its “sideways scraper” on West Grand for this conventionally vertical workspace at 2457 Woodward Avenue. Top row, center and right: Esther Edwards and Barney Ales. Second Row, left to right: Ralph Seltzer, Miller London and Like Lushka. Third Row, left to right: Gordon Prince with secretary Thelma Leverett, Fuller Gordy and Esther Edwards. 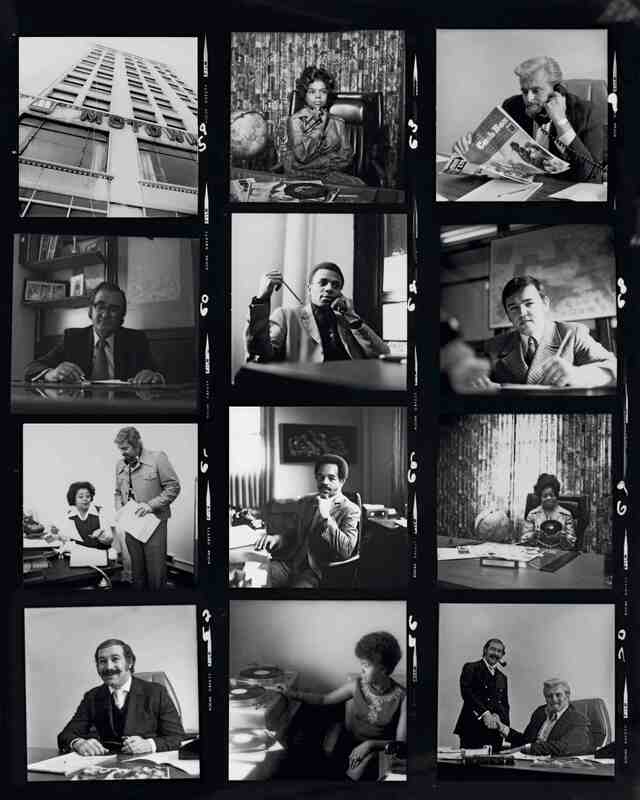 Bottom row, left to right: Tom Schlesinger, Billie Jean Brown and Schlesinger with Ales. 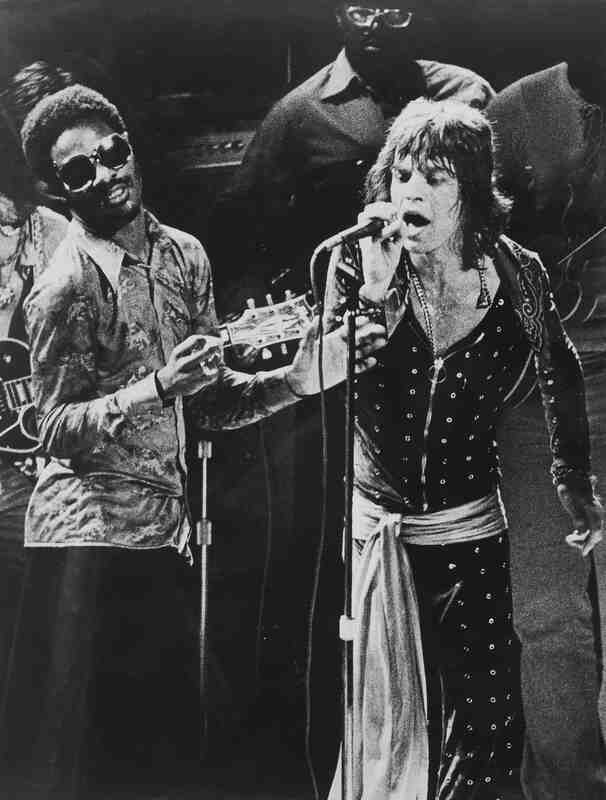 Stevie Wonder with Mick Jagger on The Rolling Stones’ North American tour in 1972. 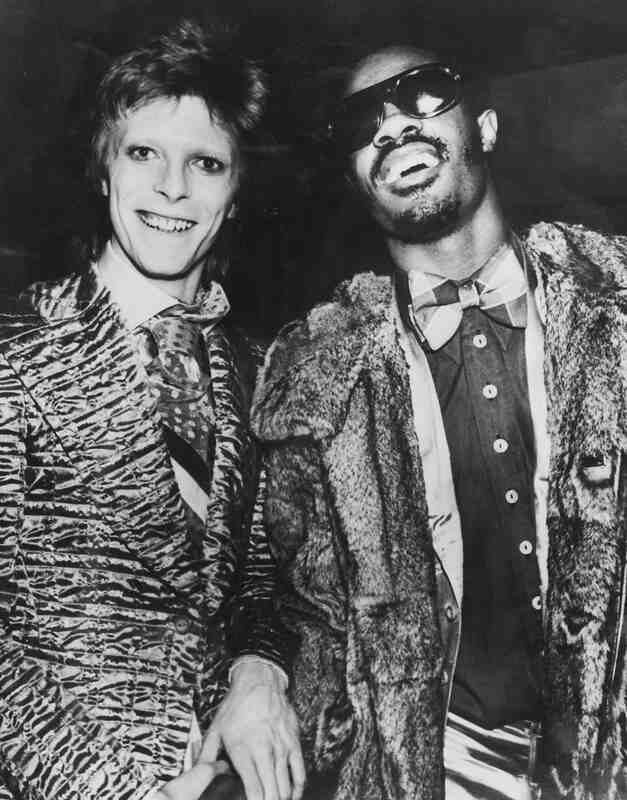 Stevie Wonder with David Bowie in 1973. 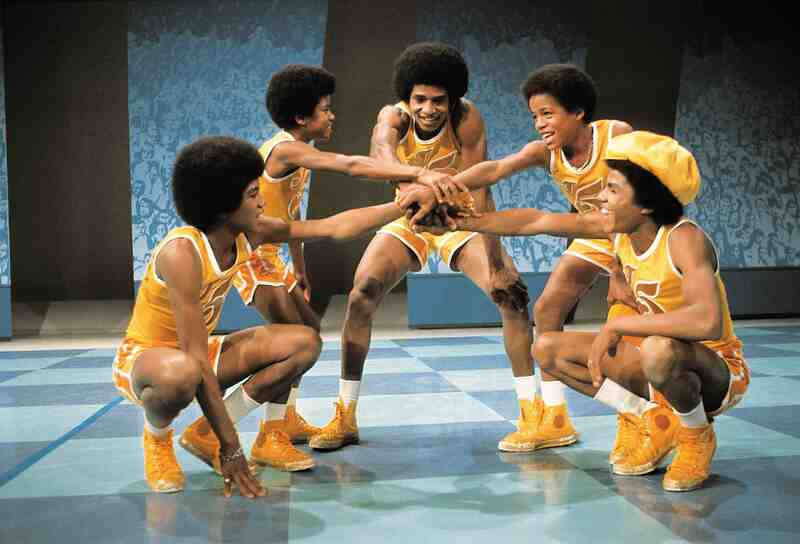 The Jackson 5 taping their ABC-TV network special Goin’ Back to Indiana, in Los Angeles in July 1971. 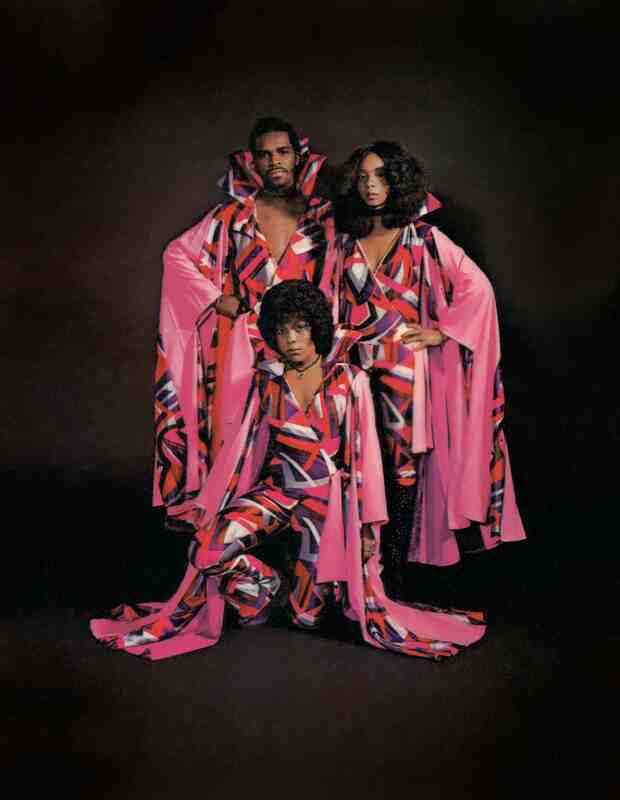 The Undisputed Truth in 1971: Joe Harris, Brenda Joyce Evans (front) and Billie Rae Calvin.